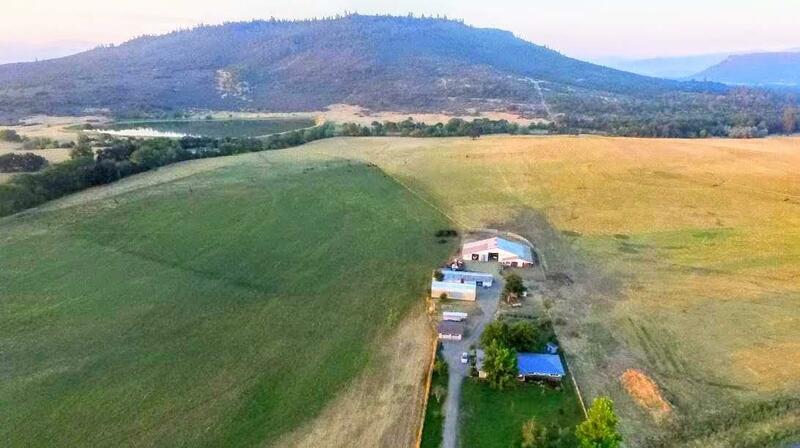 205+/- acre farm. 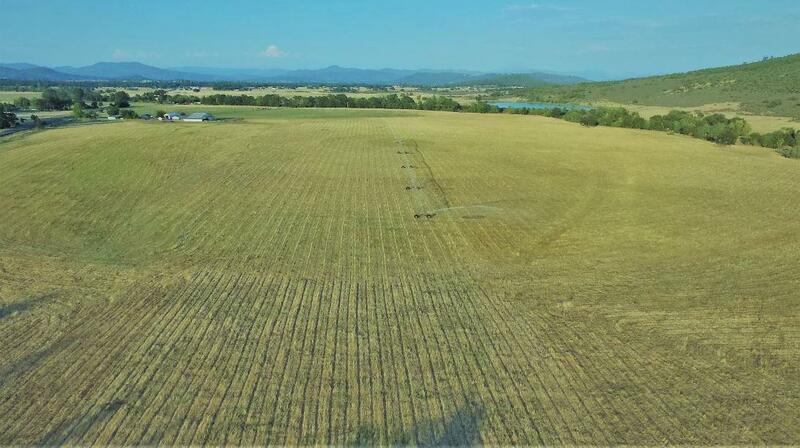 Approximately 145 productive, tillable acres with soils that could be classified as organic. Currently in hay production and cattle grazing. 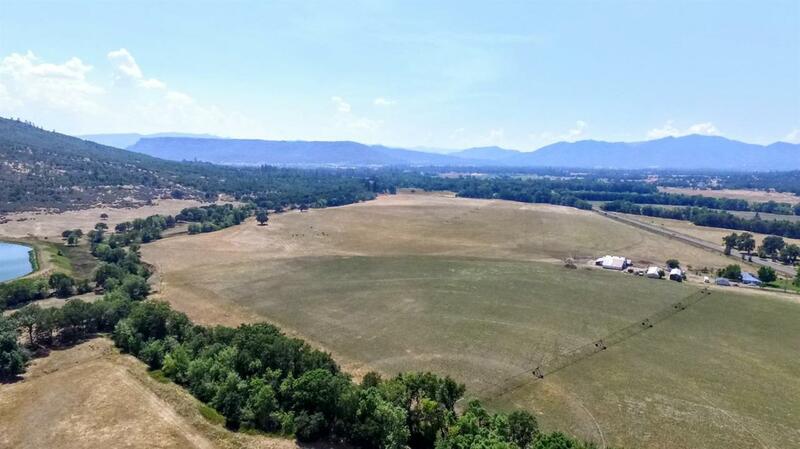 Over 50 acres of water rights and initial investigation suggests that more may be available. There are two pivots, one full and one half circle. The 2077 square foot single level home has been tastefully updated and has 3 bedrooms and 2 1/2 baths and features vaulted ceilings. The hay barn is 80X120 with stalls and turnouts. The equipment building is approx. 80X28 and the secondary equipment shed is approx. 60X20. The property is served with 3-phase power. 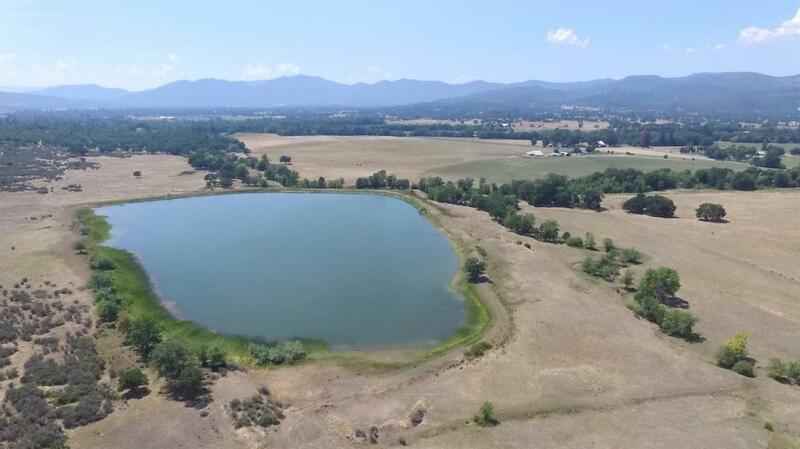 The reservoir covers 12+/- acres and Snyder Creek runs through the property. Plenty of wildlife visit the ranch including deer and elk and it borders BLM land and Upper Table Rock.